The Wolf Howl Locket necklace features a pack of Wolves howling on a snowy night. The artwork is encased under beveled glass that gives a 3d effect. The locket and chain are fashioned out of silver plated zinc alloy. The chain is 22" long and has a lobster claw clasp with a 2" extension. 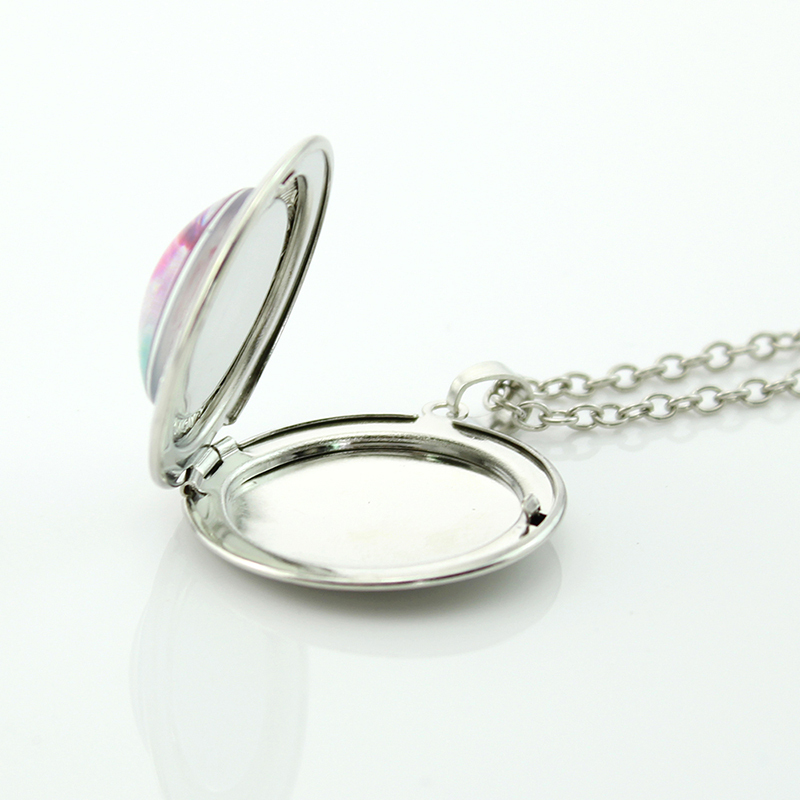 The inside of the locket is certainly big enough for pictures on both sides.